My Profitable Niche Adventure #4: Still Going Strong! It's almost been a year since I started my niche site from the earlier parts of the series and although I am not #1 in Google, things are going really well. The site is still making money, and I think that the biggest reason why it is successful is due to patience and a good keyword generator tool. Since the Panda update, I didn't see a huge change in rankings. Even though everybody and their mom swears that the Panda update is a niche site killer, since the original strategy if making great and unique content was the crux of my niche site, everything has withstood the test of time. Don't get me wrong, there were a few times when I dropped to #9, and that scared the heck out of me, but I think that had to do more with me stopping the backlinking process rather than anything that Google changed in their algorithm. You can see below, things got a bit crazy at times, but the site was never pushed off of the front page. Because the virtual assistant that I hired was able to follow her dream of becoming a nurse in Ireland, I decided that I would maintain the site myself. Of course, the problem with that is that I really don't have the time to write content, let alone spin articles and submit them to article directories. I tried to write articles in my own, but even with the help of various tools it was a lot to handle. Since the Panda update, you want to make your articles at least 500 words or more – the more the better – and they have to be original. I ended up using Amazon Mechanical Turk to get the articles done, but it still took about an hour per article to spin them with The Best Spinner. Don't get me wrong, the tool is great but in order to really make understandable spins, you need to be meticulous. My final strategy that matched the amount of time that I was ready devote was to have articles written via Mechanical Turk, and then have them spun by people over at Fiverr.com. 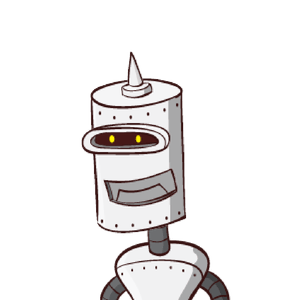 I also ended up buying Article Marketing Robot, which was a one-time fee, rather than continue using Unique Article Wizard. Don't get me wrong, Unique Article Wizard is great, but aside from the price, the best thing about Article Marketing Robot is that it submits not only to blog networks, but article directories, WordPress blogs that allow submissions, and other article-like sites. I was getting about 270 successes per spun article with UAW, but I get more than 1000 with Article Marketing Robot. A major word of caution though with AMR – the application uses Internet Explorer to submit to every directory and blog. That being the case, some blogs that have been hacked can give you malware. Usually these are the zero page rank blogs, but if you are using AMR, even though it rocks definitely make sure that you have a great real-time detection anti-virus software program installed. With Receipt Scanner HQ I have been continually making around 200 – 400 a month. My basic methods of monetization are Adsense, Amazon Associates, and Commission Junction. 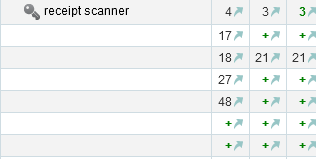 My rankings fluctuate between #4 and #7 for my main keyword, but I still get a good amount of traffic and conversions. I am using Fiverr a bit more in order to see if I can break through to #1 and I've been experimenting with a few things, but we will see how that turns out. I've gotten a lot better with Market Samurai and I have been using it to not only start some new niche sites, but also to do SEO marketing for businesses. This has been a very successful venture, especially since most local companies aren't on the ball when it comes to online marketing at all. It makes it pretty easy to rank clients. All-in-all, it's nice getting some passive income to pay for some of the smaller bills in the month. Maintenance of the site is pretty easy and I don't foresee dropping significantly in rankings anytime soon, so it's something that can be counted on a monthly basis. We'll see how the other niche sites go, but as for this one, I would say that it was a success.